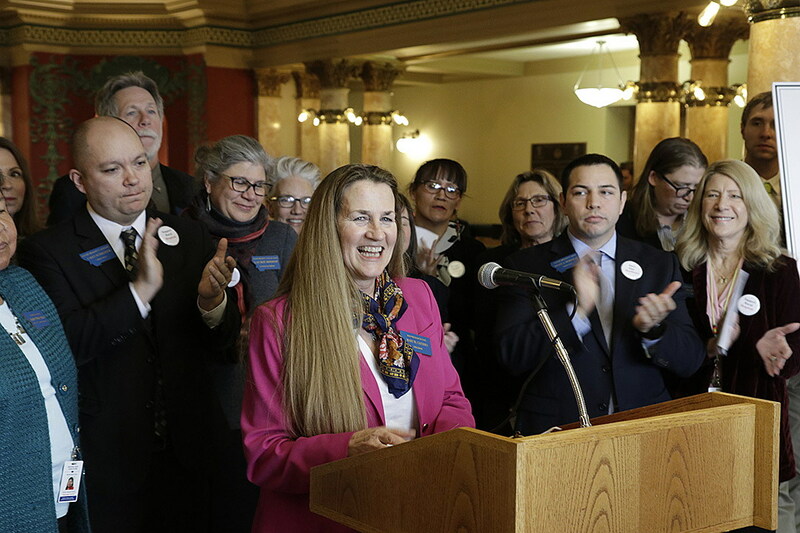 (UM Legislative News Service) Democratic lawmakers unveiled their version of Medicaid legislation during a press conference Thursday at the Montana Capitol. Rep. Mary Caferro, D-Helena, is sponsoring the Keep Montana Healthy Act, which would essentially extend the program that first passed in 2015. But, Caferro says she wants the process to be open and to get public input on the new extension. Caferro also said she wants to keep work or volunteer requirements, both of which Republicans have suggested, out of the new legislation. “Montanans who have Medicaid are working, whether they are employed, in college or are caregivers,” Caferro said. Rep. Ed Buttrey, R-Great Falls, is drafting his own bill on Medicaid expansion. In his bill, people who are on Medicaid need to reach a quota of what he calls “community benefit.” Buttrey said this is a long list of different actions people can take to reach the quota. “If patients are benefitting from it, then they should have some skin in the game as well,” Buttrey said. Nearly 100,000 Montanans are insured under the program.